Let your friends know you are attending (and possibly presenting at) the Midwest Clinical & Translational Research Meeting of CSCTR and MWAFMR on Facebook! 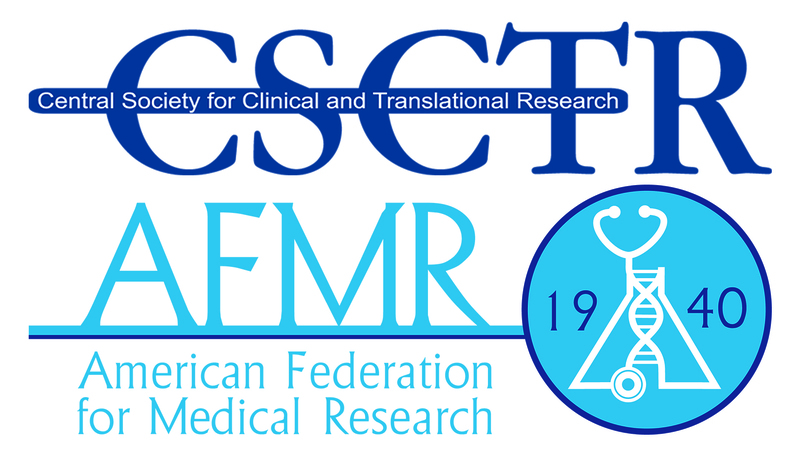 The leadership of the Central Society for Clinical and Translational Research (CSCTR) and the Midwestern Section of the American Federation for Medical Research (MWAFMR) invite you to participate in the Midwest Clinical & Translational Research Meeting, which has a rich annual tradition of providing a forum for young investigators, fellows, and associate/assistant professors to present their research to leaders in their fields. This is one of the few multi-specialty meetings with a broad focus where the attendees can learn about research techniques used in other medical specialties and apply those techniques to their own research.